As a Certified level 2 EFT practitioner I use these amazing techniques in my Private Life Coaching Sessions as well as my Anger Management Seminars and Stress Management Seminars with overwhelming success! Start today to change your life and career for the better! Sign up for my amazing Stress Management Seminars using Emotional Freedom Technique/EFT and notice the benefits in one session! CONTACT ME for a Free 20 minute telephone consult. NBC Today Show January 2018: Could EFT tapping be the solution to chronic pain and anxiety? 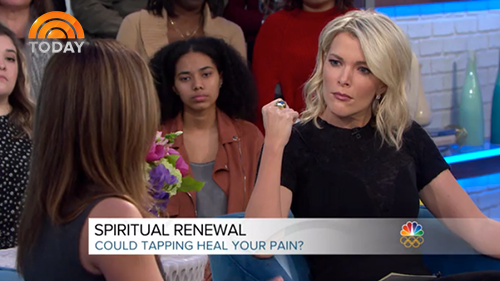 On Megyn Kelly TODAY, Megyn is joined by Adrienne Cerulo, who says a healing technique known as tapping freed her from four years of excruciating pain, and Nick Ortner, author of "The Tapping Solution." Cerulo says she is still pain-free after two years, and Ortner leads the studio audience in a demonstration of EFT technique. Watch it here. The Duchess of Cambridge herself has had to come to grips with her own fear of flying and her recent biography reveals that Emotional Freedom Techniques (EFT) has helped her to relax while on a flight. 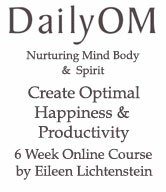 Do you find yourself procrastinating or dealing with negative thoughts hindering your productivity and happiness? 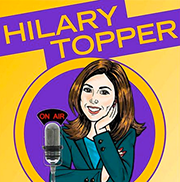 Then be sure to tune in to this episode of Hilary Topper On Air, as Hilary interviews Eileen Lichtenstein, CEO of Balance & Power, Inc. and author of "SOAR! with Resilience: The Interactive Book for Overcoming Obstacles & Achieving Success"
Eileen has been empowering organizations, individuals and families to soar to new heights of happiness and productivity for decades! Learn how to help yourself and your organization be positive, productive and powerful with effective destress, anger management and communication tools, specifically the power and practice of emotional freedom techniques. Eileen Lichtenstein talks about and demonstrates EFT (Emotional Freedom Technique). LIASB Breakfast with Eileen Lichtenstein demonstrating her Balance & Power EFT Tapping Points Program. Video Courtesy of Bill Moseley/BBA Photo Corp. Typically, EFT is facilitated with a practitioner for several sessions, while the individual is tapping on their own every day. EFT is especially effective when integrated with Peak Performance Success Coaching and may be arranged in 3 or 6 week packages. Here is my introduction to EFT/Tapping based on Gary Graig's and Dr. Patricia Carrington's work. Many thanks to the EFT community for paving the way to spirited sharing! I welcome comments, questions and Free consults HERE. "According to the founder of EFT, Gary Craig, EFT often does the job for you cleanly and thoroughly in one or two sessions... and we often achieve noticeable results in a few brief rounds of EFT. We label these near-instant results as "one minute wonders." Do EFT properly and you will likely experience them 50% of the time. Headaches, back pains and other discomforts often tend to improve or vanish." **6 (60 minute) Session Program to last a lifetime! Emotional Freedom Technique (EFT) is simply the quickest and most effective way to deal with doubts, obstacles, triggers, cravings, concerns, and emotions that most people who are quitting smoking have to deal with. Not only does EFT help make the transition to non-smoker easier, it better equips ex-smokers to deal with any stressful situations that may cause a relapse. 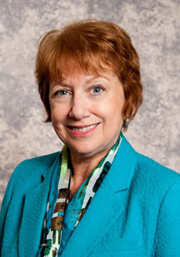 Contact Eileen now to learn more about Smoking Cessation with EFT. 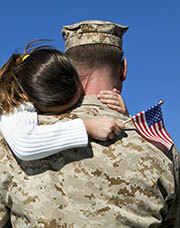 How EFT can help Veterans' Reintegration! Almost all service members will have reactions after returning from deployment. These behaviors and feelings are normal, especially during the first weeks at home. Despite the challenges of reintegration, most service members will successfully readjust with few problems. However, seeking solutions to problems is a sign of strength. Having coping skills will positively influence your ability and attitude to handle the uncertainties of post-deployment and reintegration. Recognizing the three parts of our "self" - our mind/thoughts, our physical body and our emotional/spiritual self. A combat experience is an extreme experience that can disconnect us from one or all of aspects of our "self." Balance & Power, Inc. provides Veterans an opportunity to reconnect and reintegrate all parts of their "self." Many Veterans have found that these tools, along with traditional therapies, help them manage their challenges better allowing them to fully participate in their lives. Video: EFT for War Veterans with PTSD by EFT Tapping Founder Gary Craig Veterans' Reintegration with EFT: Gary Craig gathers together numerous war veterans with severe Post Traumatic Stress Disorder. EFT generates dramatic improvements. Contact Eileen now to learn more about how EFT can help with Veterans' Reintegration. How EFT can help you lead a normal social and academic life! ADD or ADHD clients almost invariably have anger, anxiety, fear, guilt, or trauma from either their current circumstances and when adults, their childhood. Often they feel like they "don't fit in" or "don't match up." In such cases, ADD or ADHD become symptoms of those underlying emotional causes. These issues become much easier to handle when you take aim at their true causes instead of covering up the problems with medication and many side effects. Resolve the causes and the symptoms fade. EFT does this!! 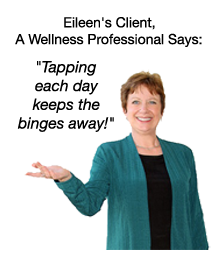 Contact Eileen now to learn more about how EFT can help with ADD/ADHD! EFT has been used by thousands of athletes to improve their performance. As athletes strive toward high performance, setbacks and failures can occur. It is part of the process. Some athletes are easily able to put these setbacks into perspective. Other athletes hold onto them, allowing those moments to define who they are. Holding onto setbacks can impact an athletes performance. Most athletes know that one of the main barriers to this better sports performance is due to the "mental part" of the game - not the psychology of playing the game, but the individual athlete's mental and emotional readiness to win. Emotional Freedom Technique (EFT) has helped many athletes get past their internal hurdles, whether they're golfers plagued by "the yips," tennis players struggling with their backhand or runners who've hit the wall. Recreational and professional athletes have greatly benefited from EFT treatment, boosting performance to levels they had not anticipated. Athletes also experience a significant increase in range of motion and quicker recovery from injuries. Contact Eileen now to learn more about how EFT can help athletes. "Thank you for the information 'Balance & Power, Inc. Newsletter' with the information to be stress free. I especially appreciate the picture of the EFT Tapping Points which I learned how to utilize doing the session I had with you. That session truly made a difference which added insight as to where I am in my life. I learned what I was thinking and feeling was just right for the changes I have been making. As a result I continue to allow myself to expand my horizons. YOU HAVE MADE A DIFFERENCE, AGAIN THANK YOU FOR BEING YOU. "I'd been doing some self-study on EFT and was getting some reasonable results but after one short session with Eileen, I not only discovered what I was missing with regards to tapping, I immediately felt better...I felt like there was real progress. Eileen not only is an experienced tapping coach, it's abundantly clear that she truly cares about the people she works with. Got an issue? (and who doesn't??) I urge you to engage Eileen as your coach. She's easy to work with and gets results." "I have been so pleased with the improvement of my attitude and understanding of what it takes to understand and control my inner-self thanks to our discussions and interesting, calming exercises including tapping EFT that Eileen has shown me in these sessions. 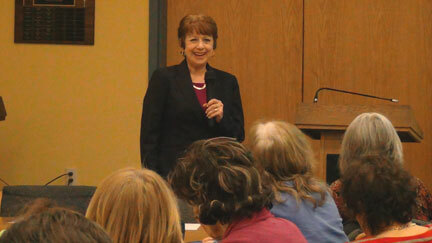 I highly recommend speaking with and learning from Eileen. 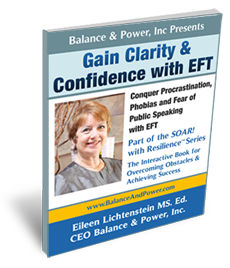 She is insightful and very caring..."
As a Certified level 2 EFT practitioner Eileen Lichtenstein uses these amazing techniques in her Private Life Coaching Sessions as well as her Anger Management Seminars and Stress Management Seminars with overwhelming success! Eileen's interactive exercises & worksheets throughout the book are easy to follow while guiding you step by step through her process to success. Looking for a career change, a reinvention? And if you are simply feeling overwhelmed with life, "sandwich generation" or parenting issues, Eileen's new ebook collection will help get you get unstuck, be fearless and SOAR! Part of the "SOAR! with Resilience™ Series: The Interactive Book for Overcoming Obstacles & Achieving Success"
How to get unstuck and experience amazing results in your business, personal or relationship goals! On Striker Corbin Learn about EFT and listen to Eileen lead the television audience through a tapping session, which she invites you to participate in. Zap your food cravings with EFT! EFT dissolves blocked energy that results from an upsetting event, thereby changing the powerful negative emotions that cause you to eat out of emotion rather than hunger. Tapping Each Day Keeps The Binges Away! Reduces stress from everyday issues that may cause you to turn to food to tranquilize anxious feelings. Dissolves blocked energy that results from an upsetting event, thereby changing the powerful negative emotions that cause you to eat out of emotion rather than hunger. Releases cortisol (stress hormone) that become abdominal fat. Banishes negative, set-in-stone beliefs and self- fulfilling expectations about food, weight, body image and hereditary factors. Eliminates subconscious need to hang onto excess weight. Neutralizes the emotional effects of difficult or traumatic events from the past. Zaps your food cravings with everything notated above happening! few hours to last a lifetime!! Plus Multi-Week EFT packages avialable for optimal manifestation! sound judgement in ALL your self-care and health-care decisions. Eileen is a certified level 2 EFT practitioner.